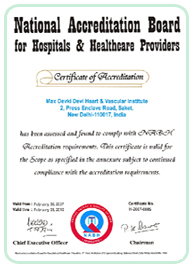 Max Medcentre, Panchsheel Park; Max Speciality Clinic, Panchsheel Park; Max Balaji Hospital, Patparganj; Max Hospital, Pitampura; Max Hospital, Noida and Max Heart & Vascular Institute, Saket have been awarded the prestigious ISO 9001:2000 certification. Founded in 1985, Max India Limited is a public limited company listed in the NSE and BSE with over 37,000 shareholders. 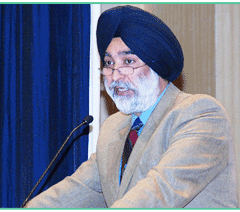 Prominent shareholders are Mr Analjit Singh & family and private equity firm Warburg Pincus, while the remaining shares are held by institutional investors and the public. Max India Limited is a multi-business corporate, driven by the spirit of enterprise, focused on knowledge, people and service oriented businesses of healthcare and life insurance. Max New York Life Insurance, founded as a Joint Venture between Max India Limited and New York Life, a Fortune 100 company, is one of the leading private life insurers in India. Max Healthcare, a subsidiary of Max India Limited is India's first provider of comprehensive, standardized, seamless, and integrated world-class healthcare services. MIME has established a new benchmark in clinical skills based training in the country. Some of the landmark courses that have been rolled out include 'Critical Care Nursing', 'Advanced Cardiac Life Support (ACLS)' and 'Advanced First Aid Provider'. While some of the programs are accredited by Singapore General Hospital, MIME is also in dialogue with the University of Nebraska, USA for collaboration in training, and exchange program. MIME, along with various clinical departments organises Continous Medical Education (CME) programmes in various disciplines which are open to all the doctors. MIME recently held one such programme - Medicine Update at the Saket hospital and six more CMEs are planned in next 12 months. So far MIME has held more than 1800 man days of in-house training and 2000 man days of CMEs across Max Healthcare. MIME regularly invites International and National faculty in its various programs. Delhi Medical Council (DMC) has accredited MIME as a DMC CME Centre. 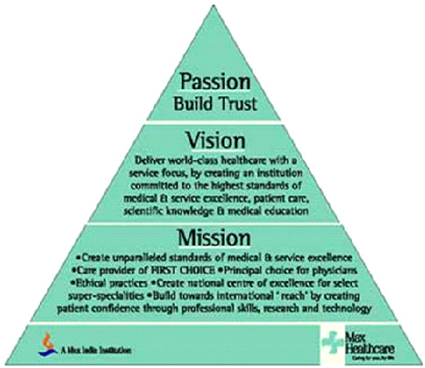 The institute has designed 50 courses that are critical for the medical fraternity. MIME is equipped with a resource centre that provides high quality education material including online clinical information and access to medical journals, guidelines etc. The centre has a state-of-the-art clinical skill laboratory equipped with the latest range of simulators, which are used by the trainees to learn and practice the clinical skills and procedures in a safe and controlled environment. The lab simulates a hospital setting which facilitates innovative teaching strategies by means of Computer Assisted Learning. MIME also offers specially designed modules for those from a non medical background including executives, and school students. The courses offered include First aid, Stress management, CPR etc. The advisory board of MIME consists of Honorary Secretary General, India Medical Association, President, Delhi Medical Council, Presidentk, Delhi Nursing Council, President, Delhi Medical Association, President, Delhi Nursing Council and representative from Singapore General Hospital, besides a large group of well known names from the medical fraternity. The concept and planning team at MIME is headed by Dr. Arati Verma, Chief - Quality & Training (Medical). Our focus..."completely satisfying customer needs profitably" by using DMAIC & Lean methodology. We follow systematic data driven approach to reduce variation, eliminating non value added activities, optimizing & sustaining the desired results to reach excellence. I am pleased to introduce you to the world of the Max India Group. We reinvented ourselves as a Group in 2000. From being a manufacturing business, we transformed ourselves into a service sector enterprise and entered into what I call 'The Business of Life'. Today, we stand as a multi-business corporate, driven by the spirit of enterprise and focus on people and service oriented businesses. We 'Protect Life' through our Life Insurance subsidiary Max New York Life, a joint venture between Max India and New York Life, a Fortune 100 company; 'Care for Life' through our Healthcare company, Max Healthcare, a subsidiary of Max India Limited; 'Enhance Life' through our Health Insurance company, Max Bupa Health Insurance, a joint venture between Max India and Bupa Finance Plc., UK which is set to launch in 2009; and 'Improve Life' through our Clinical Research business, Max Neeman, a fully owned subsidiary of Max India Limited. From its past, Max India continues its interest in Speciality Products manufacturing for the packaging industry. As a Group today, we have manpower strength of over 80,000 people and we serve over 3 million customers. We are actively involved in social service through our Max India Foundation. Committed to fostering an inclusive society, Max India Foundation spearheads the CSR initiatives of all Group companies and also partners with several reputable NGOs. 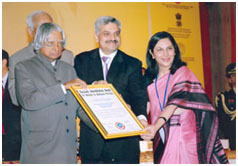 Max Healthcare is an active partner of Max India Foundation in its activities. Max Healthcare commenced operations in 2001 and is India's first provider of comprehensive, seamlessly integrated, world-class healthcare services. It is primarily focused on the National Capital Region (NCR) of Delhi, and is well known on its way to become the region's key healthcare provider in the private sector. We are also expanding our reach in North India and will open a hospital in Dehradun in 2009. Our vision is to deliver world-class healthcare with a service focus by creating an institution committed to the highest standards of medical & service excellence, patient care, scientific knowledge and medical education. 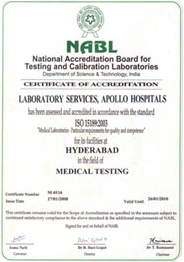 We have set ourselves the mission of creating unparalleled standards of medical & service outcomes. Our aim is to be a care provider of first choice, be the principal choice for physicians, and be committed to follow ethical practices. Caring for you... for life' is what Max Healthcare is here for.